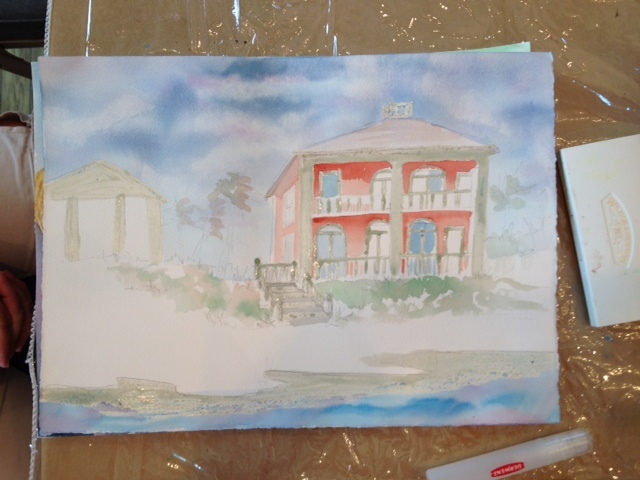 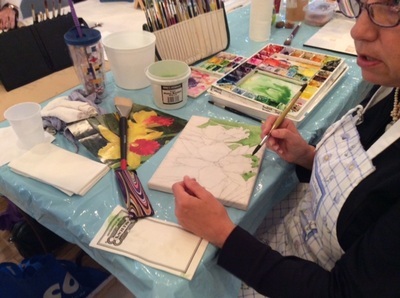 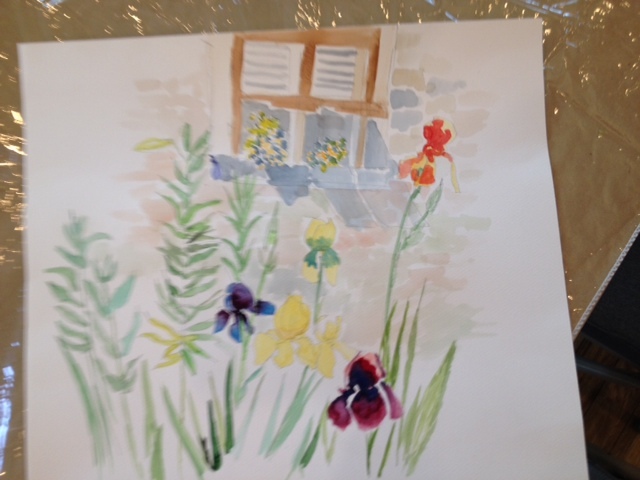 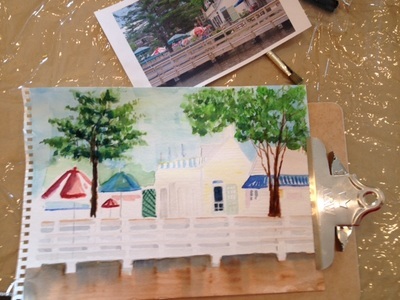 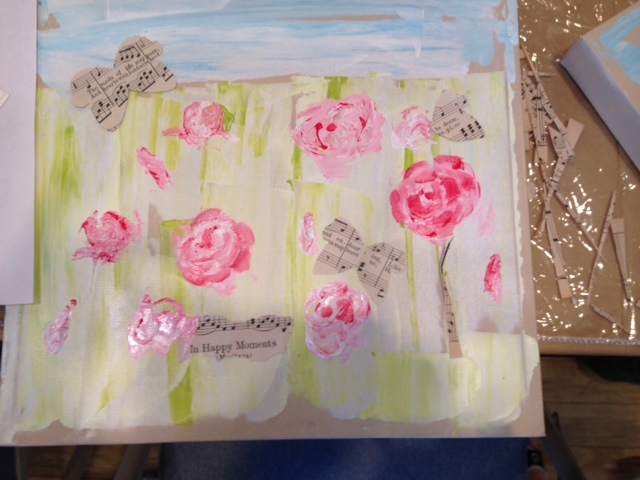 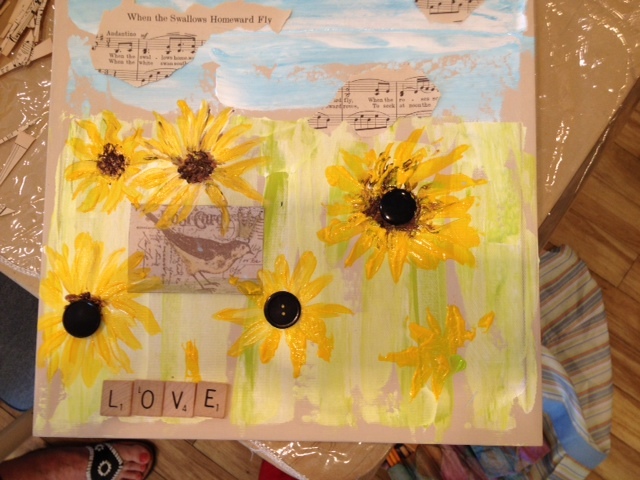 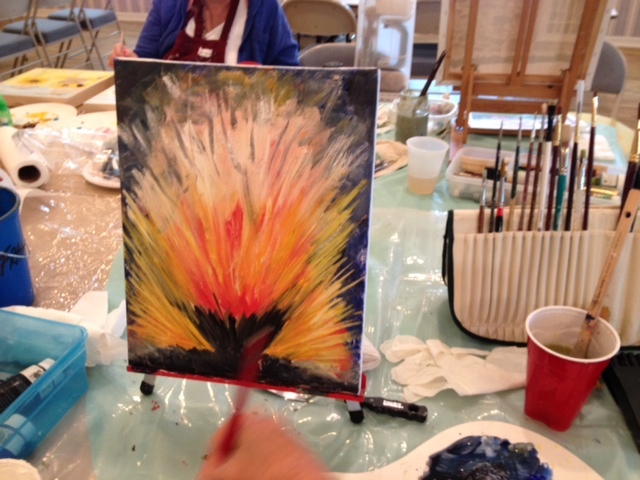 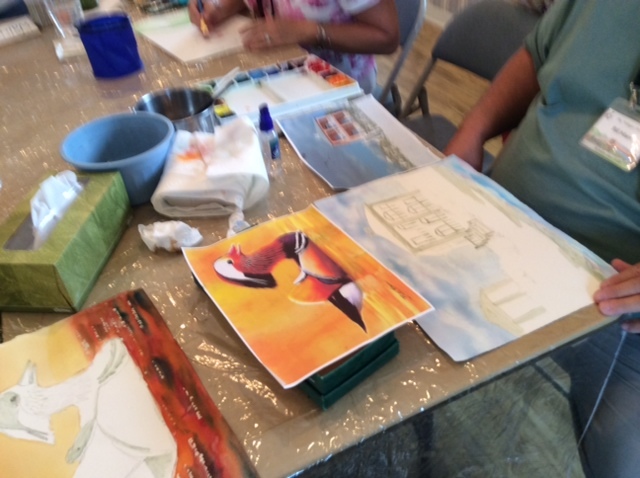 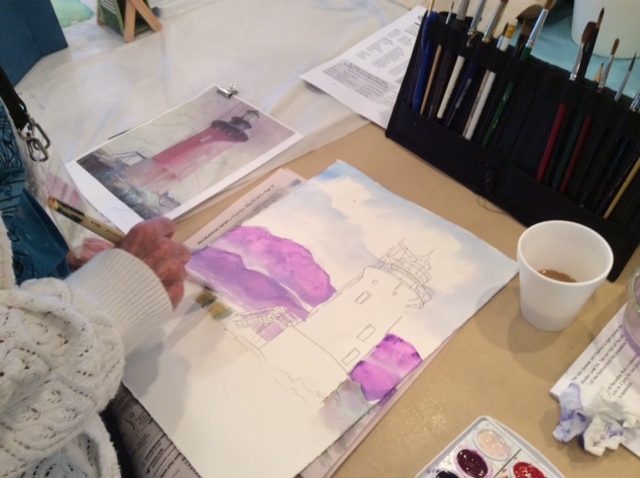 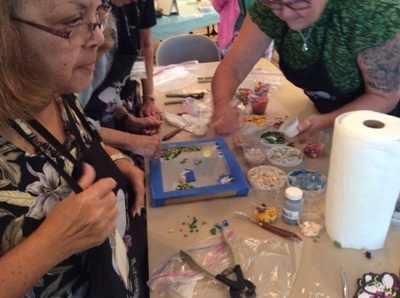 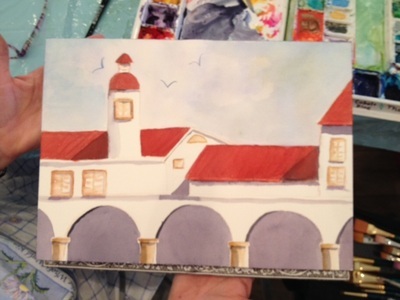 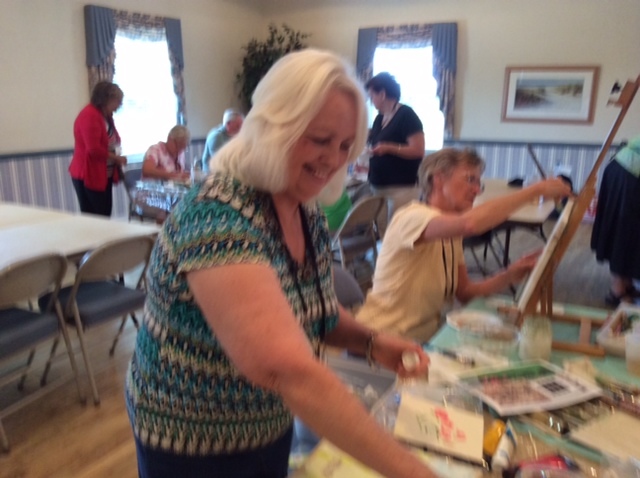 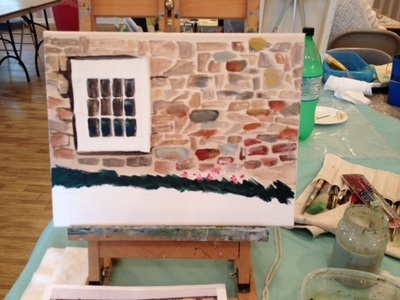 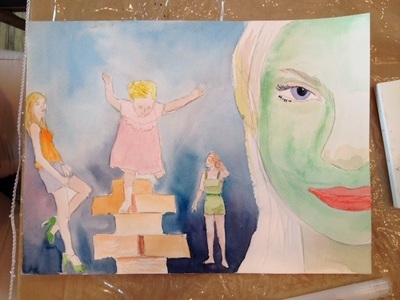 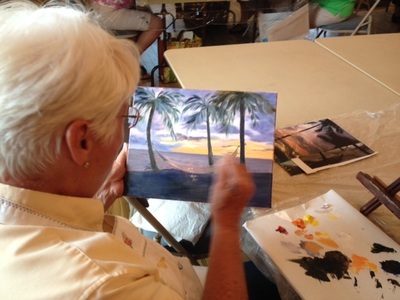 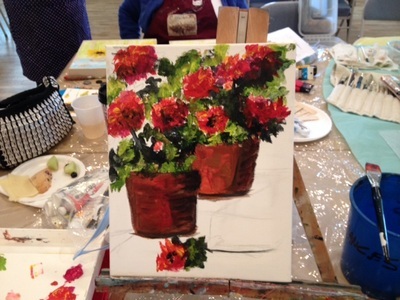 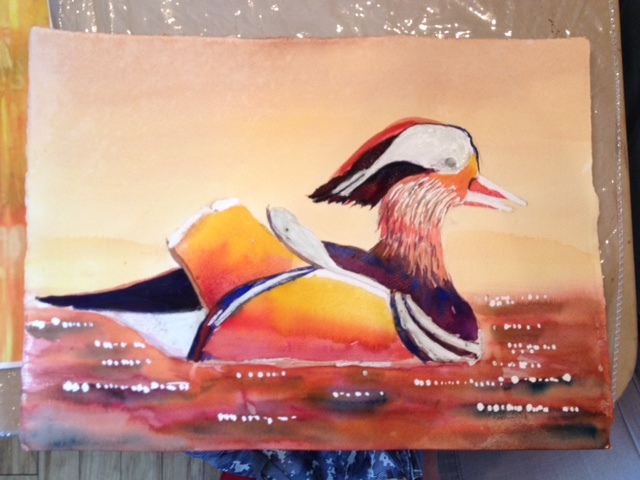 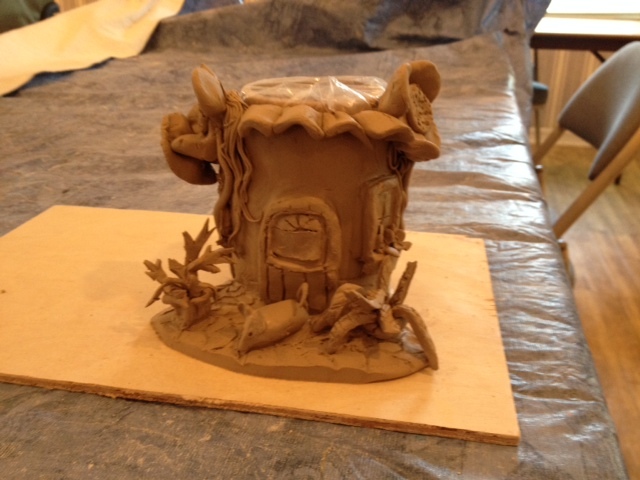 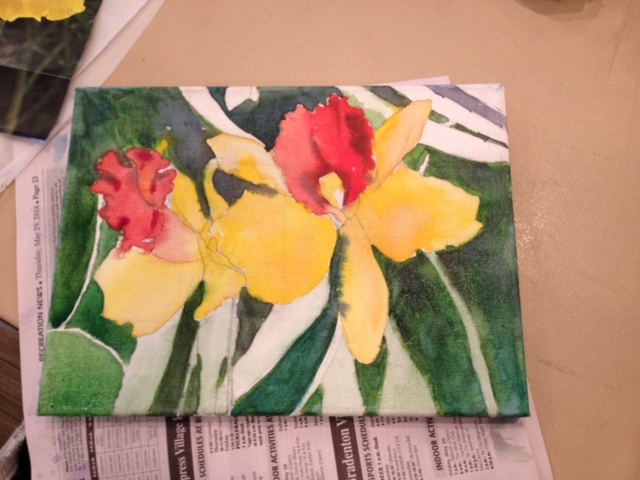 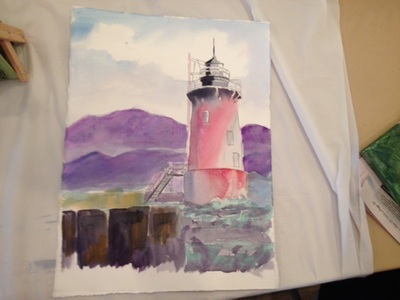 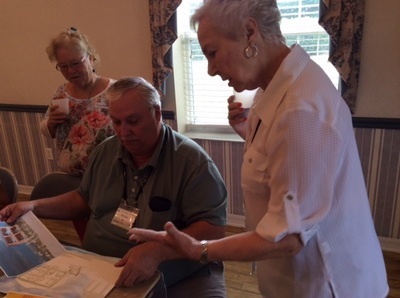 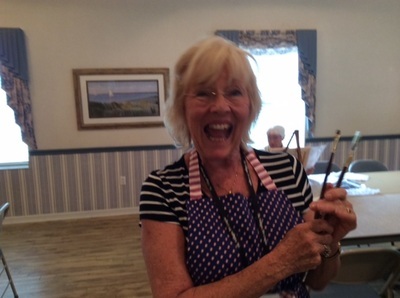 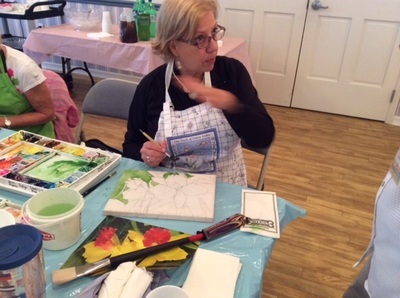 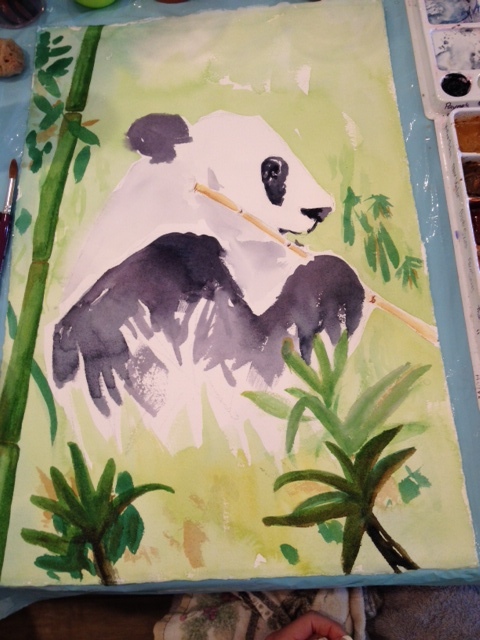 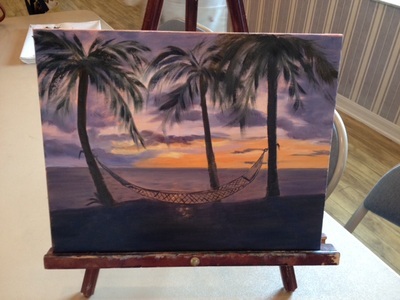 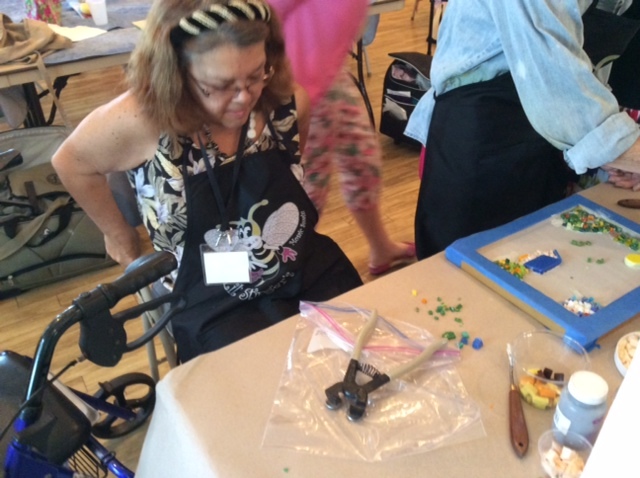 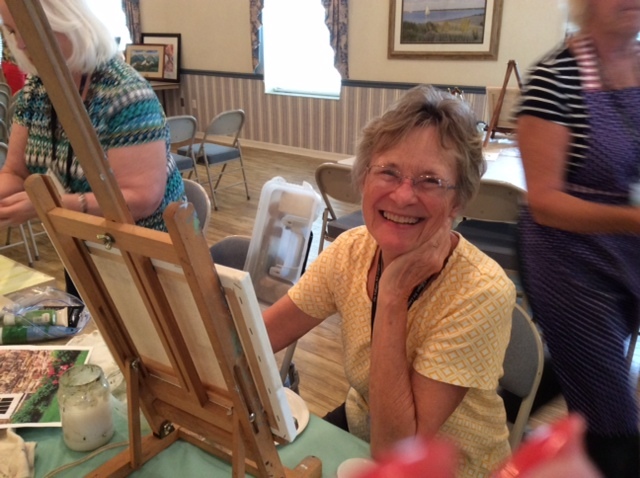 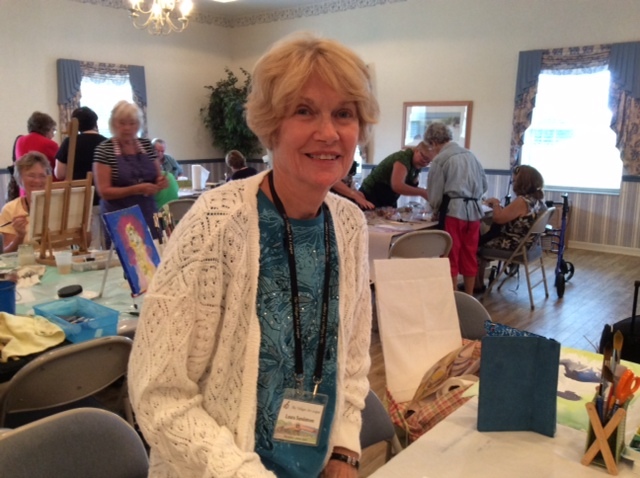 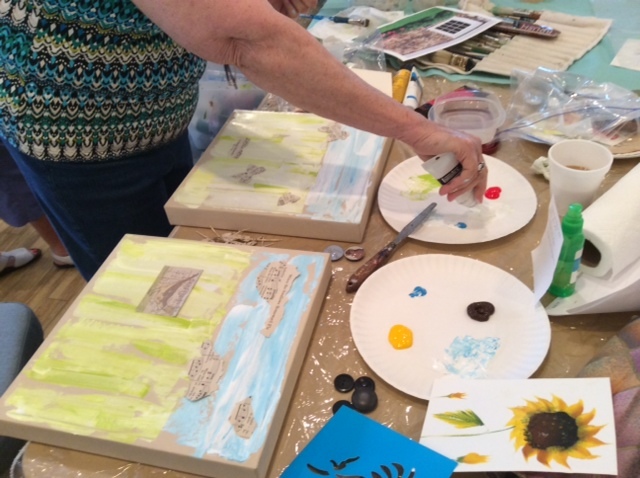 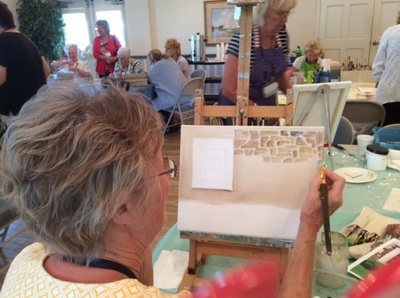 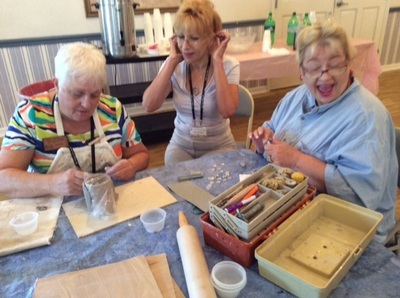 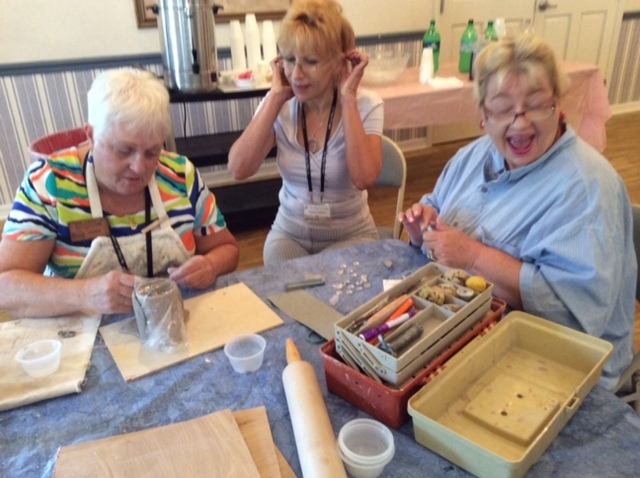 At the June 2, 2014 meeting of The Villages Art League tables were set up according to art medium. 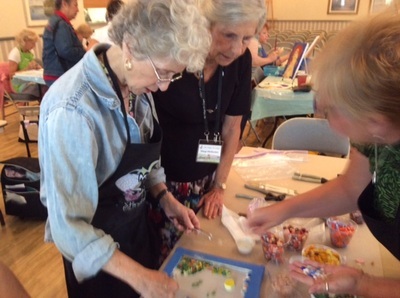 All who wanted to participate in the Paint-Around brought their materials and joined others at the appropriate table. 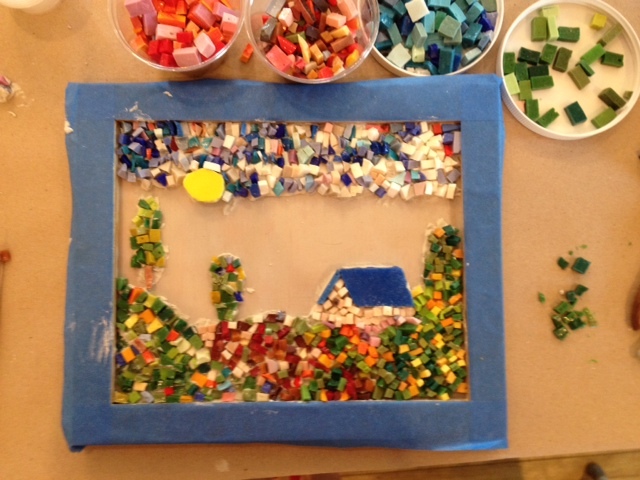 Members began working on their own project, then passed it around the table so that everyone added their individual touches.